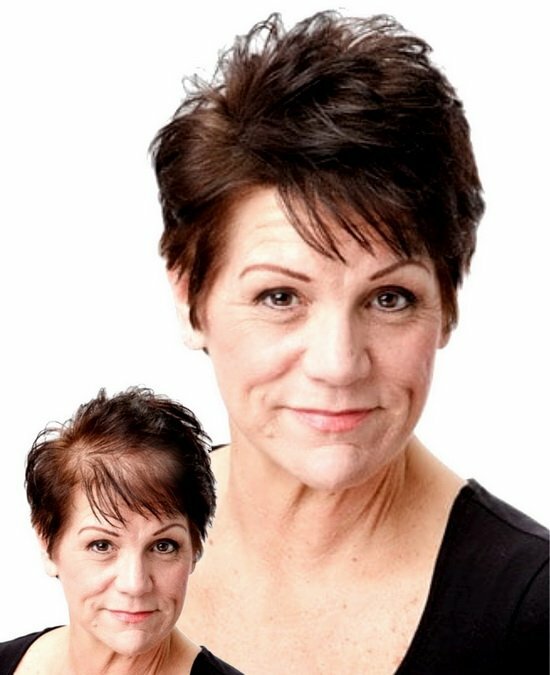 Welcome to The Hair Clinic, the largest wig, hair piece, hair topper, hair replacement, pony tail and hair extension center in the greater Montreal area. Located in the very heart of beautiful downtown Montreal and easily accessible by car or by public transportation, we are your one-stop top quality hair shop. Take a stroll along exquisite Crescent Street and come see our lovely Hair Clinic with the largest selection both human hair wigs and synthetic wigs, hairpieces, hair toppers as well as many different types of human hair extensions and human hair pony tails. 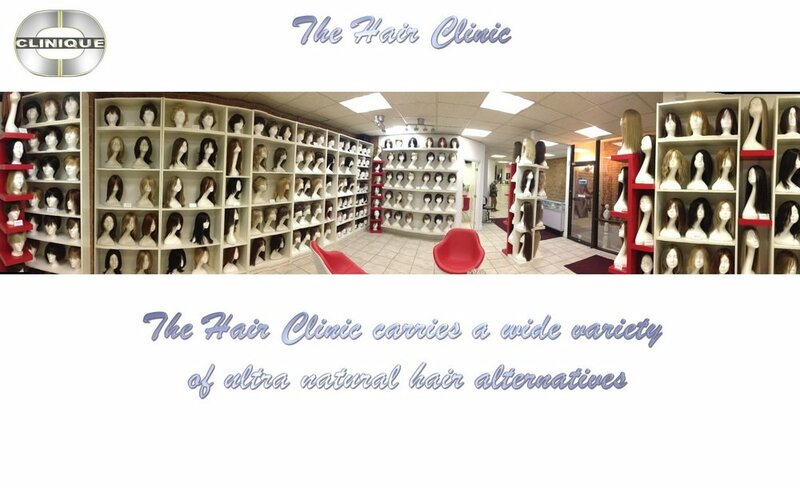 The Hair Clinic touts the very largest inventory of synthetic and human hair wigs in its showroom, as well as synthetic and human hair top hair pieces for volume. 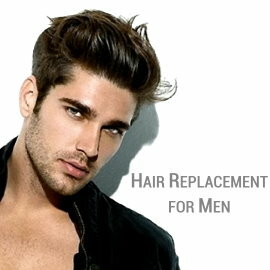 The Hair Clinic features a wide variety of cutting edge hair replacement techniques for both men and women, volume enhancers, hair integration systems along with the largest variety of top quality human hair extensions in Montreal. 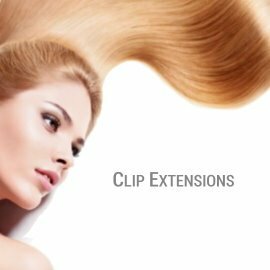 The Hair Clinic also carries clip extensions, cold fusion extensions, hot fusion hextensions, tape extensions, loop extensions, halo extensions, and is very proud to offer you the very prestigious and exclusive Hairdreams extensions. 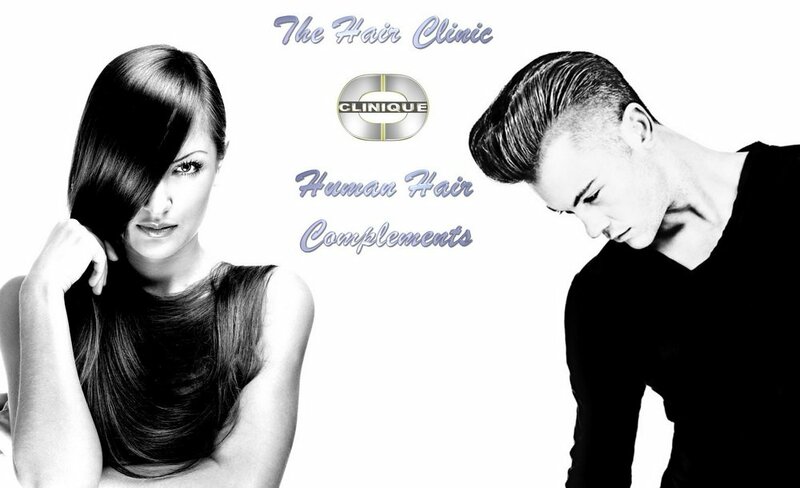 The Hair Clinic has been offering the finest quality Wigs, natural Hairpieces & best Extensions for over 20 years. The Hair Clinic has extensive experience in the business of making you look your best with human hair compliments, that enhance your personal image. 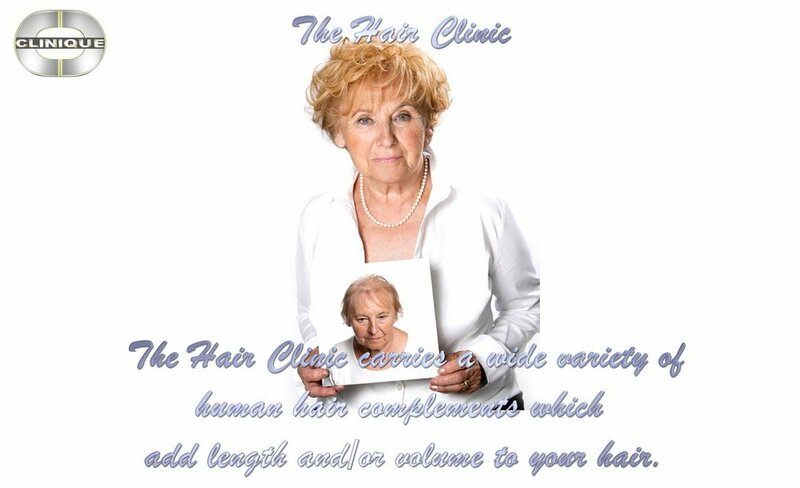 The Hair Clinic has four general areas of expertise: wigs, volumising hairpieces, hair replacement, and hair extensions, all conveniently represented under the same roof. One of our clients once described The Hair Clinic by saying: “when I come here, it’s like I was a kid again marveling at all the best hair goodies, all in one place”. 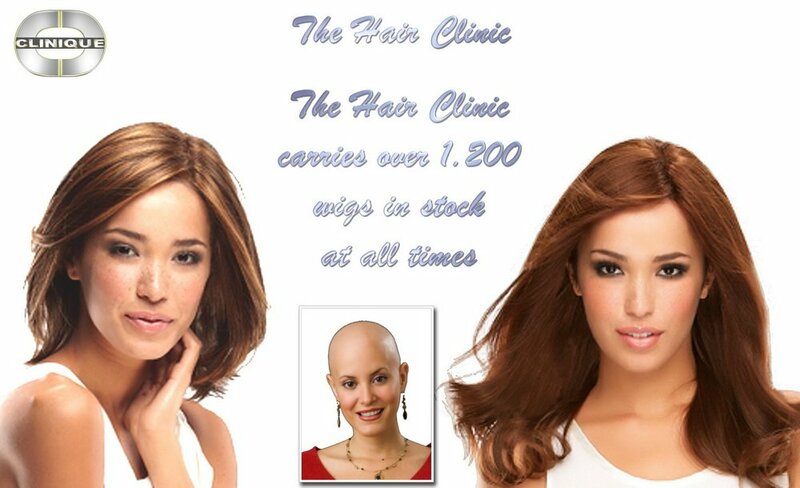 The Hair Clinic also specializes in custom made wigs, custom made hairpieces & custom made hair extensions. Each custom hairpiece is painstakingly hand grafted one hair at a time resulting in extraordinarily natural hairpieces, which look just like your very own luscious growing hair. 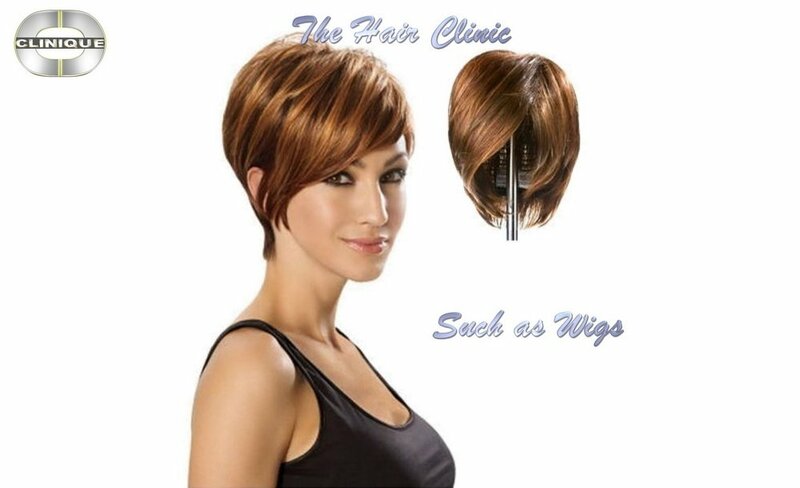 The Wig Center of The Hair Clinic carries over 1200 fashion wigs in stock at all times, with over 2500 square feet of space & 5 private styling rooms. 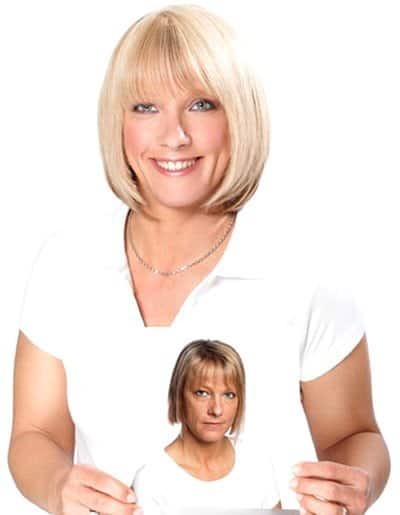 The courteous staff at The Hair Clinic is always eager to help, by offering you professions advice with all discretion, whether you looking for a human hair wig, a synthetic hair wig or a fully custom made wig. 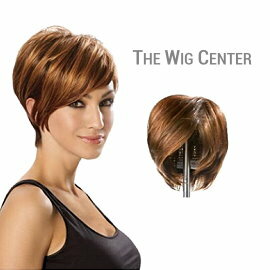 The Wig Center carries a full line of fashionable top quality wigs as both human hair wigs and synthetic hair wigs. 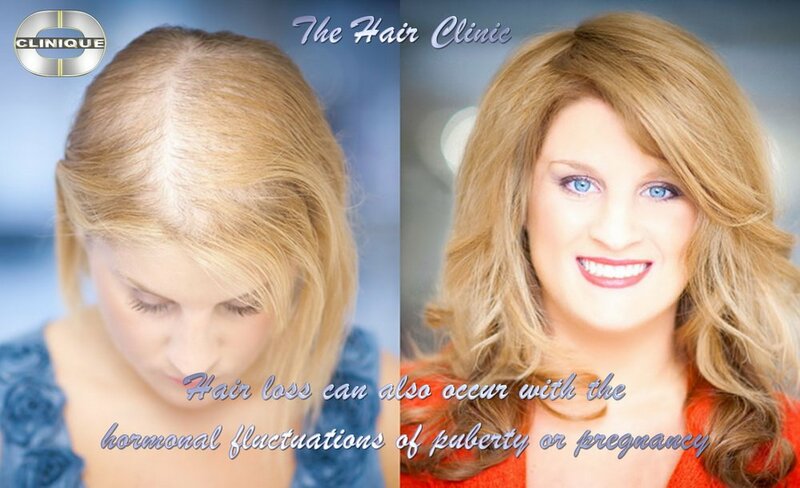 The Hair Clinic understands that hair loss can be very traumatic. 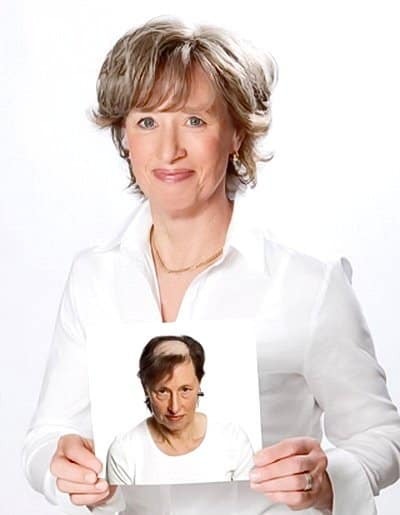 Our caring hair replacement specialists are supportive and knowledgeable and will do their best to make you feel at home and help you find that special wig for hair loss you’ve been searching for. 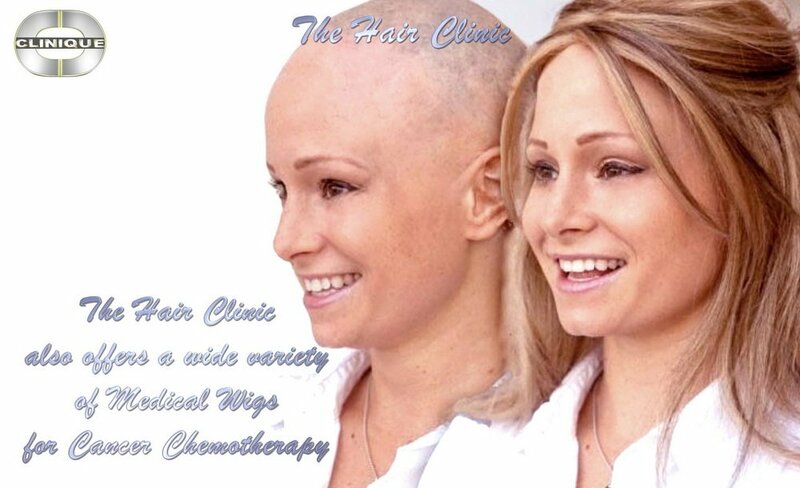 The Hair Clinic’s highly qualified staff has been specially trained to assist you with medical conditions such as alopecia, tricotillomania as well as hair loss due to chemotherapy. 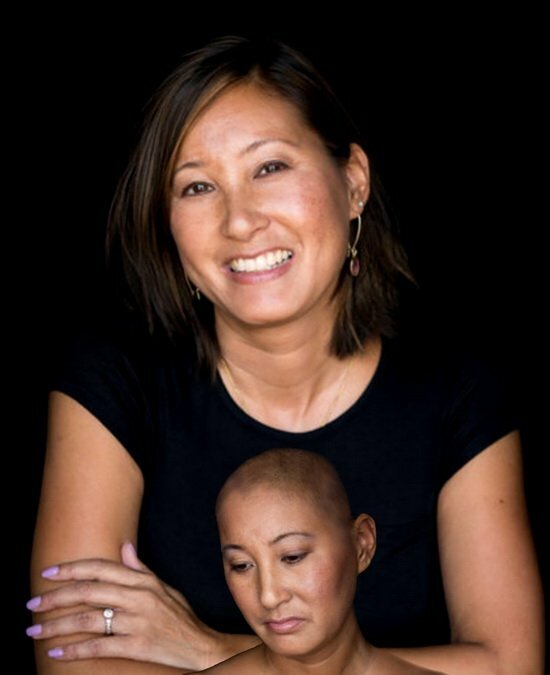 If you’ve been diagnosed with cancer, the decision to get a wig can be a difficult one. 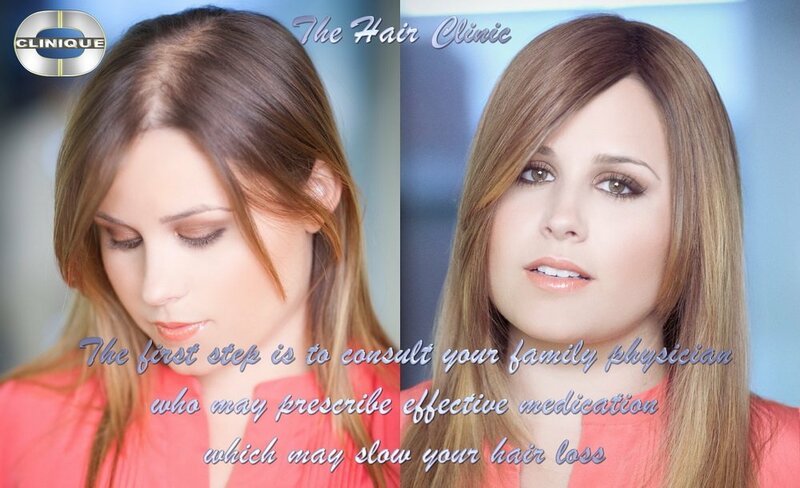 The Hair Clinic offers you a peaceful, serene private environment where you will never be pressured. 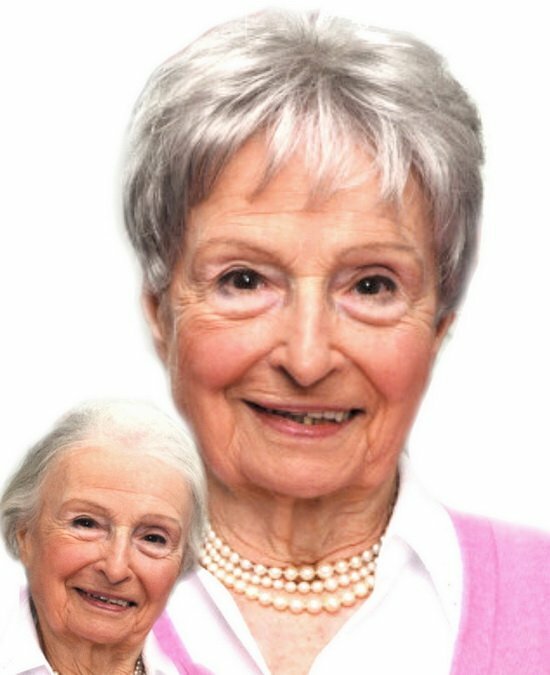 Our specialty chemotherapy wigs will make you feel like yourself again. 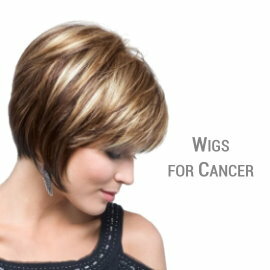 Our so very natural looking wigs will allow you to take care of your health issues, rather than worry about hair loss due to chemotherapy. Hospitals, oncologists & dermatologists regularly refer their patients to us. Our emphasis is not just on natural looking wigs, but also on comfortable wigs that will make you forget you’re even wearing a wig. 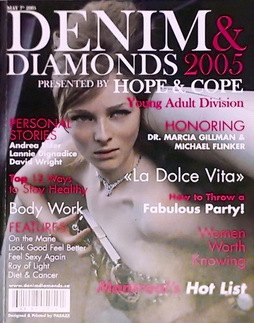 The two articles below in two Cancer Publications: “The Denim & Diamonds Magazine” affiliated with the Jewish General Hospital’s Hope and Cope and “The Pink in the City Magazine” affiliated with the Royal Victoria Hospital’s CanSupport, attest to the services offered to cancer patients at The Hair Clinic. 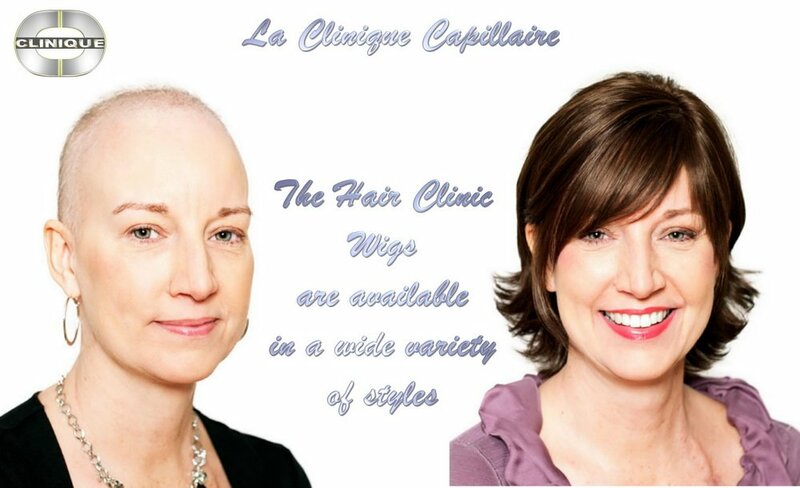 The Hair Clinic particularly specializes in ultra natural, extremely lightweight wigs for Cancer Chemotherapy. 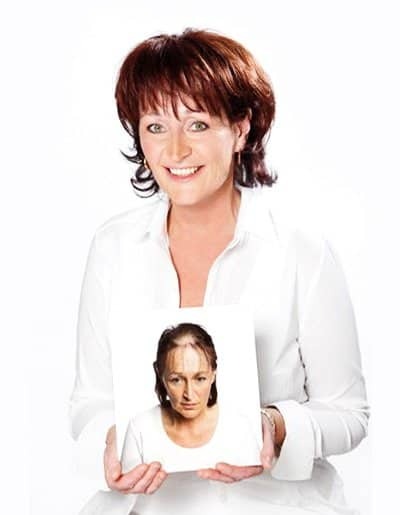 Cancer wigs so soft & comfortable to wear, and with such a natural undetectable hairline that many of our clients say that their friends are telling them : “I’m so glad you haven’t lost your hair”. 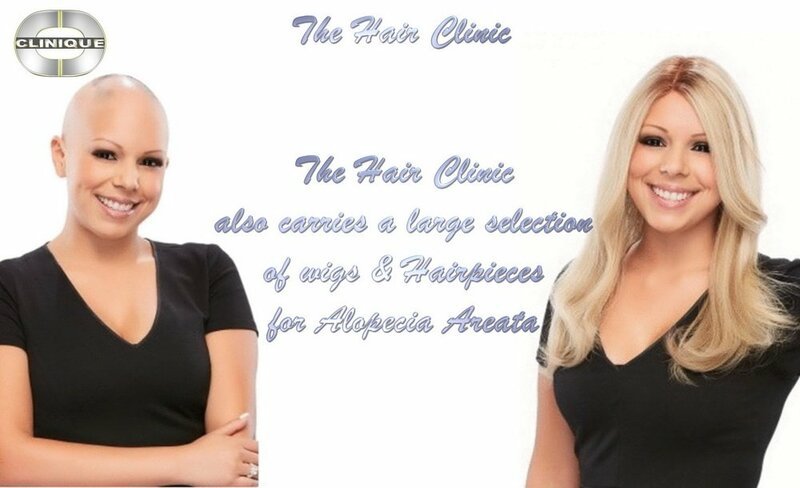 The Hair Clinic offers you very personalized service with expert advice and a large choice of medical wigs for cancer, custom made wigs, wigs for alopecia & wigs for hair loss which suit a wide range of hair loss needs. 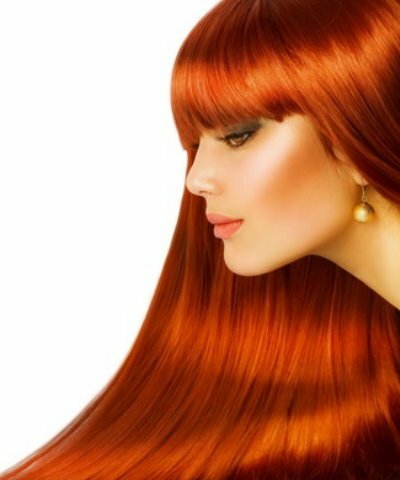 Renowned for its excellent quality human hair & synthetic wigs along with unparalleled service, The Hair Clinic has the largest selection of wigs in the Province of Quebec, at the best prices! 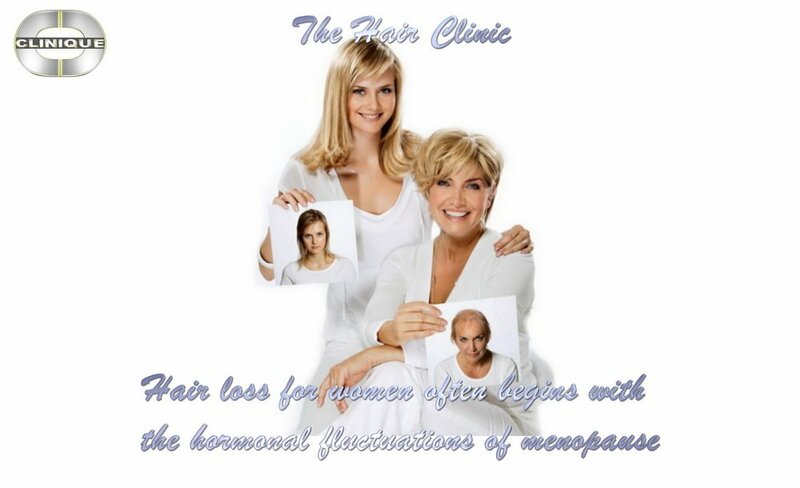 The Hairpiece Center of The Hair Clinic is the premier center for hair replacement for men and women in Montreal. 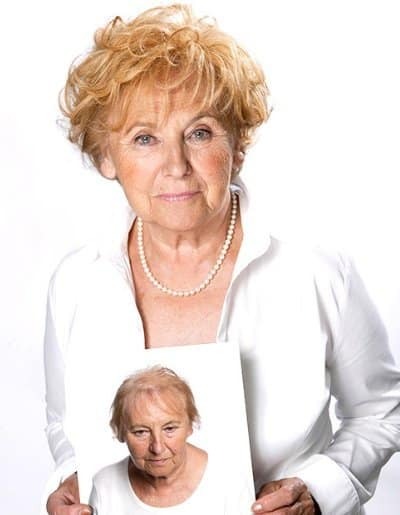 We offer you several non surgical hair replacement options, including a large selection of top quality hairpieces made of the finest quality 100% human hair. 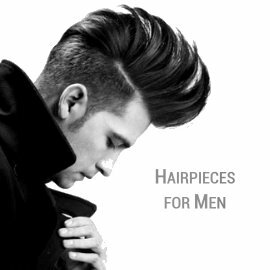 The Hairpiece Center carries a wide range of hairpieces in stock, at all times, including top hair volume hair pieces, topper hair pieces, volumising hair pieces, & mono tops. Our human hairpieces are always in stock in our extensive in store wide inventory, in a wide variety of colors, and three lengths: 6 inch long hair pieces, 12 inch long hair pieces, and 18 inch long hair pieces. In some rare cases a custom hairpiece may be required for a more perfect fit. 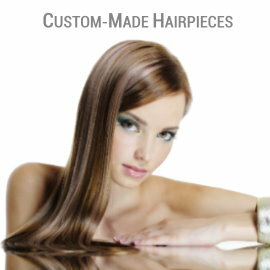 Our highly experienced custom hair piece specialists can design a piece for you that is absolutely unique, just for you! Together we will choose the ideal base design that’s best suited for your active lifestyle. During your private, no obligation consultation we will discuss the color and texture of your hair, as well as a multitude of important parameters that will ensure the final result is the one you’re looking for. 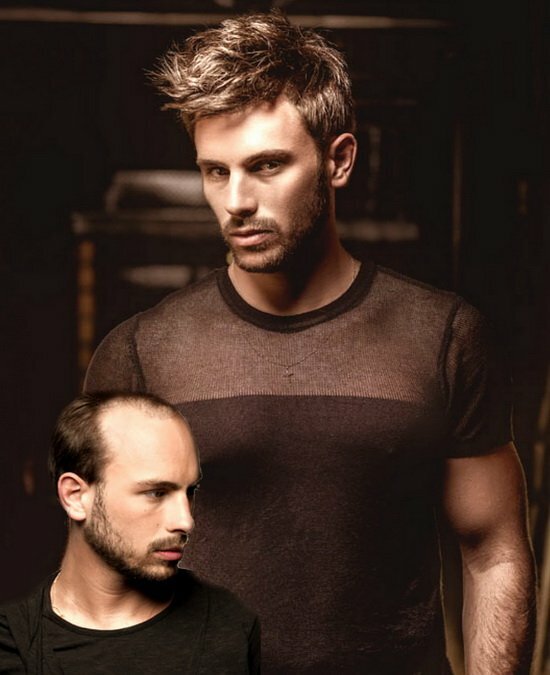 We will also explore the hairstyles that will best suite you and bring out your best features. 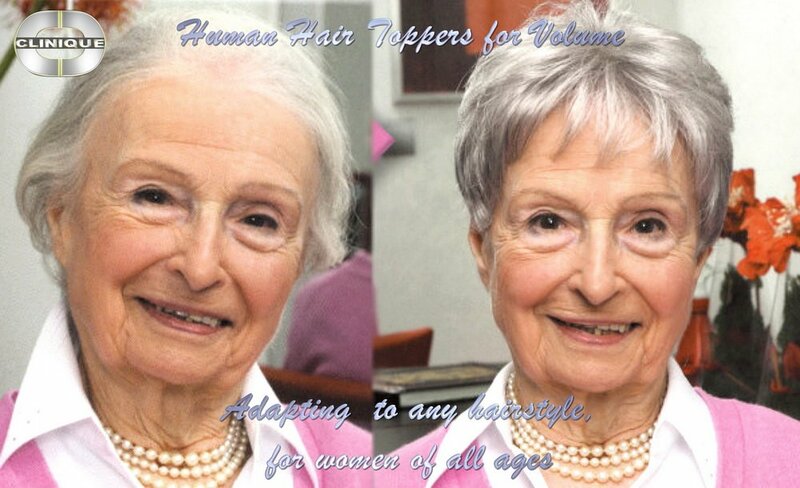 The Hair Clinic carries a wide selection of human hair toppers & synthetic topper hair pieces . 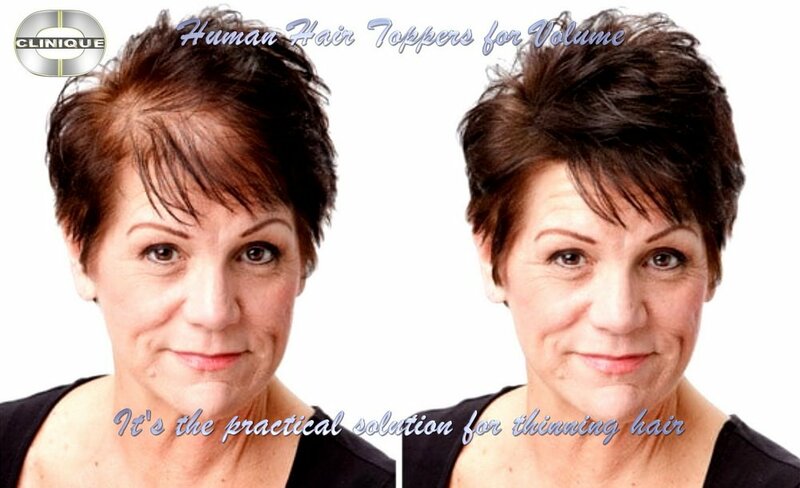 Hair Tops or Hair Toppers discretely add volume to the top of your head where the hair may be thinning. 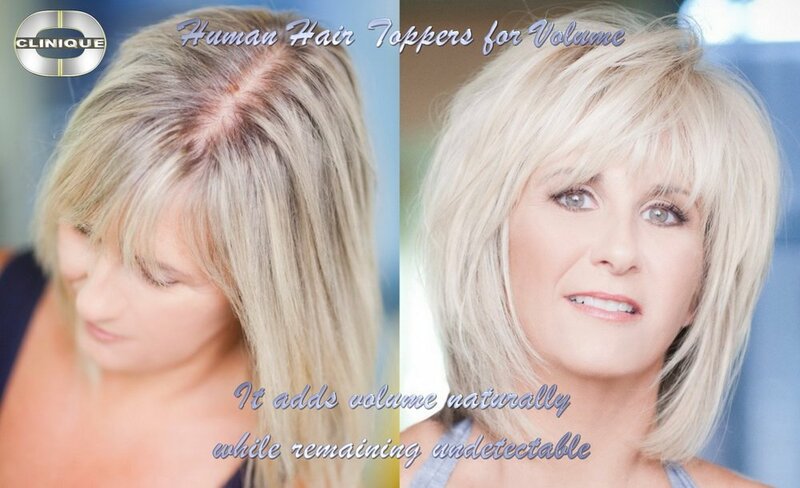 These include Hair Volume Enhancers, Hair Integration Systems, Top Hair Pieces, Hair Pieces for volume, Hair Toppers for volume, as well as Hair Extensions for volume. 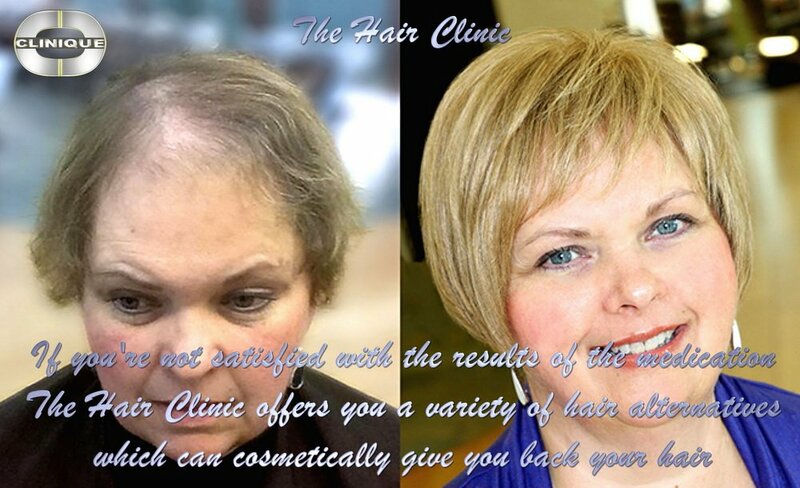 The Hair Clinic carries a very large inventory of ready to wear human hair as well as synthetic hair toppers. 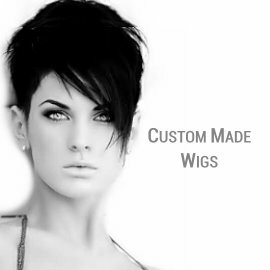 The Hair Clinic prides itself in carrying many different types of hair volume augmenting systems and top volume hair pieces in stock, but of course we can also custom make hair topper pieces just for you in any color, length, texture and hair type. Come and see our exclusive Italian collection 100% European Remy Hair Toppers in stock in over 25 different color! 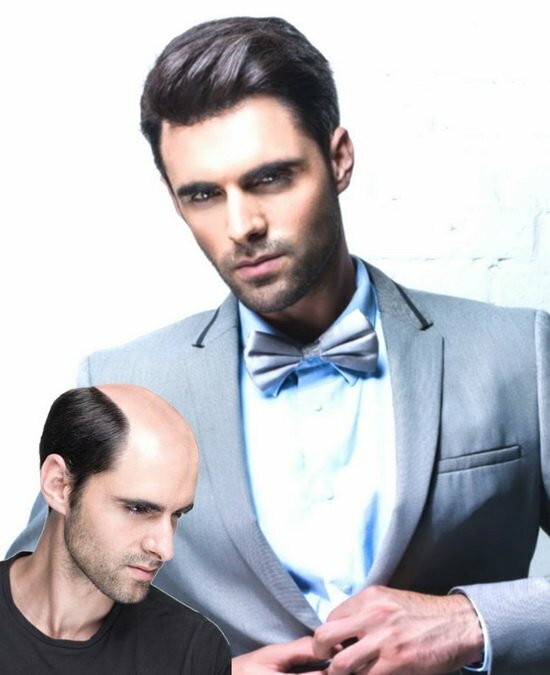 Whether you have thinning hair & want just a little more volume, a thinning crown or even bald spots, our human hair tops or synthetic hair toppers will give you back the great looking hair you’ve always longed for & deserve to have! 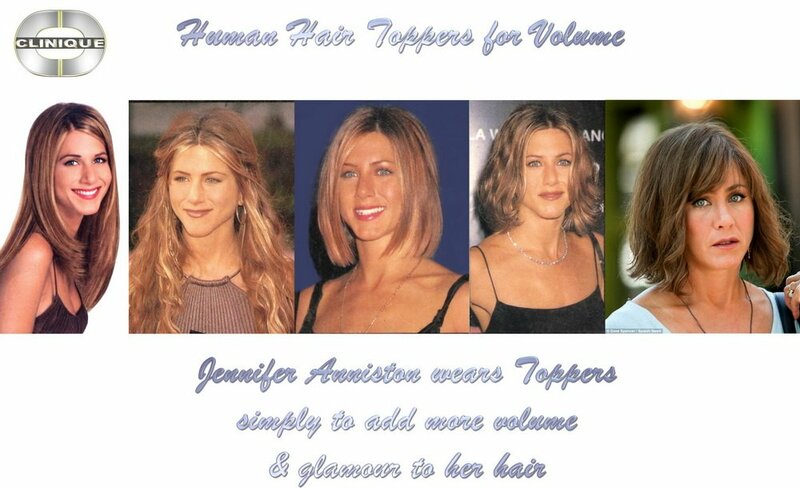 The Hair Clinic’s carries both topper hair pieces to add volume to the top of your head, as well as hairpieces for the sides & back of your head to add instant volume even if you have a great head of hair! 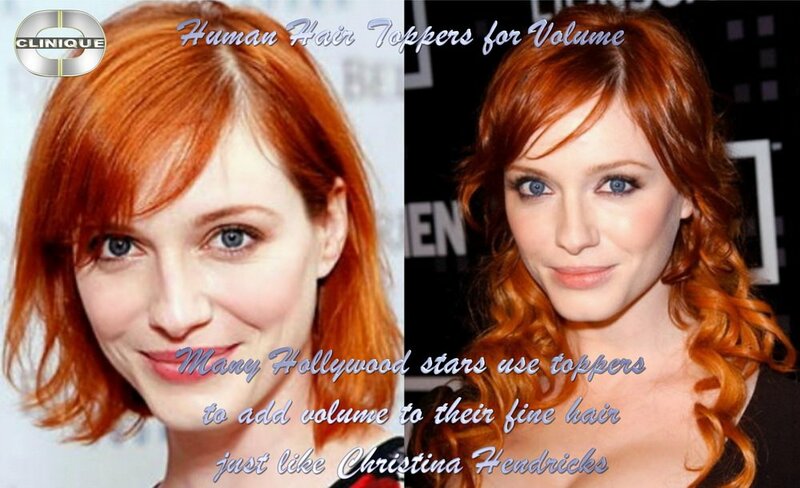 Hair Toppers for volume, often called top hair falls, are a glamorous way to perk up any hairstyle instantly! 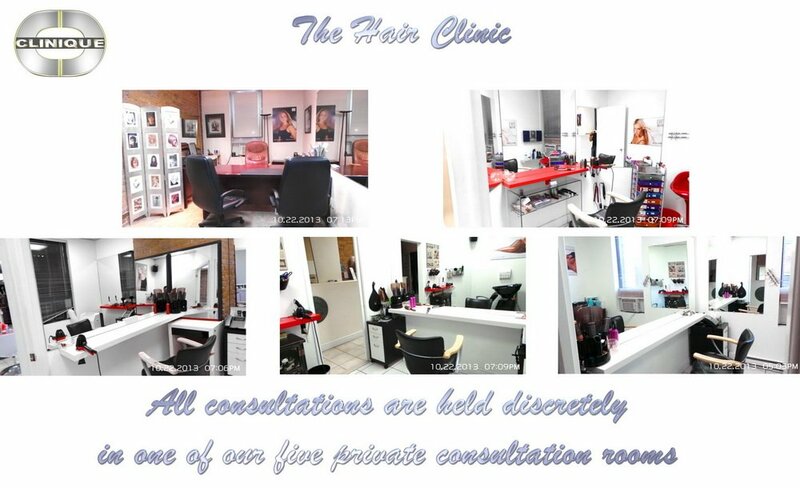 The Hair Clinic can also fully custom made top hair pieces for women in both human hair & synthetic hair. 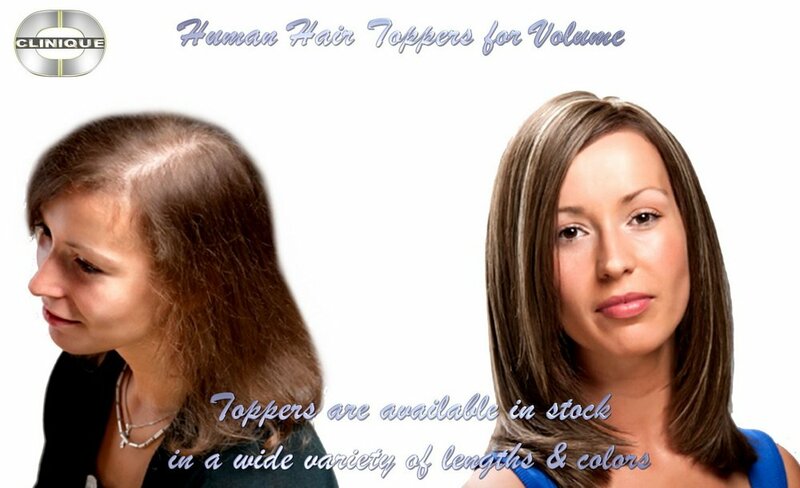 Custom made hair toppers are molded to fully cover the thinning area giving you a perfect fit. 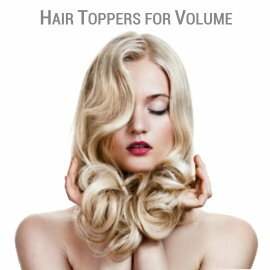 Other topper hair systems we carry include hair integration units, as well as pull through hair units. No more teasing hair for volume or volumizing hair treatments! 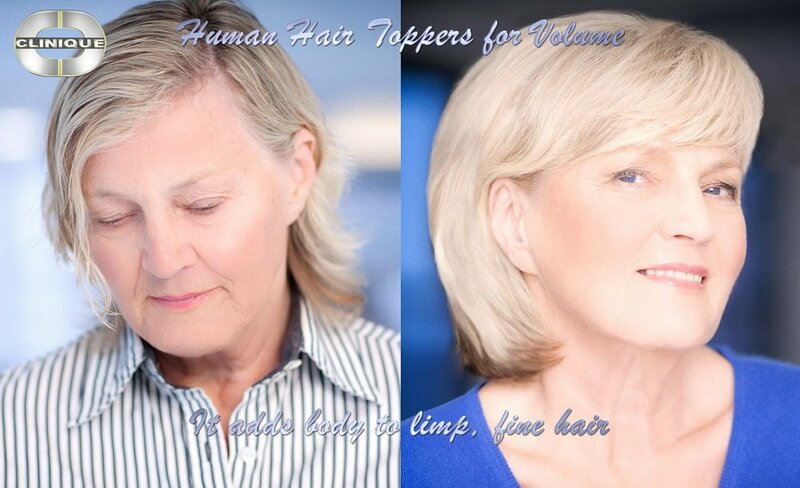 Our volumizer hair system is all you need – it’s that simple. The Hair Clinic human hair toppers allow you to instantly upgrade your look to healthy, volume hair with bounce and shine. And you don’t need to constantly dye your roots, either! Without damage or long-term commitment, our hair volumiser hair pieces will give your hair exactly the boost it needs by snapping in effortlessly and blending perfectly with your own hair. 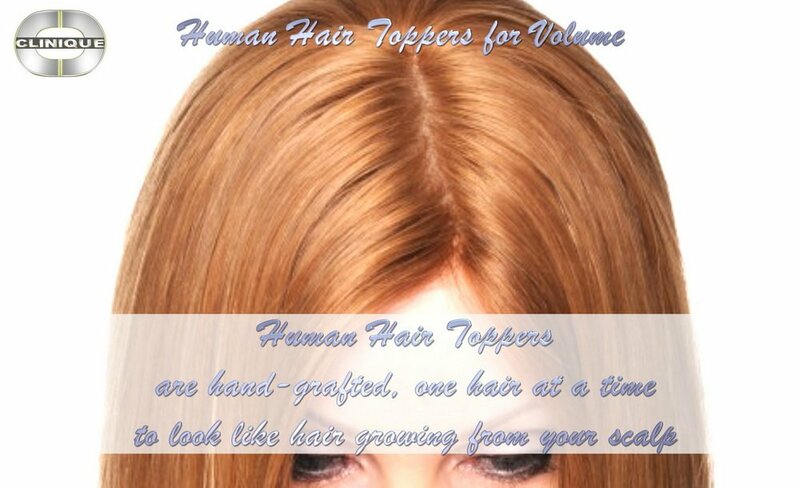 All of The Hair Clinic’s human hairpiece toppers are hand made with the finest quality 100% Virgin Remy Human Indo European Hair or 100% Virgin Remy Human European Hair. 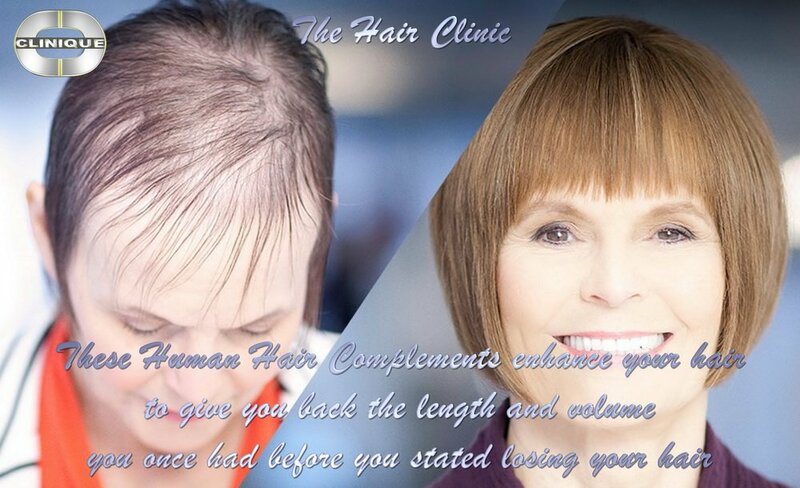 The Hair Clinic is the finest Hair Restoration & Hair Replacement Center in Montreal for both Men & Women! 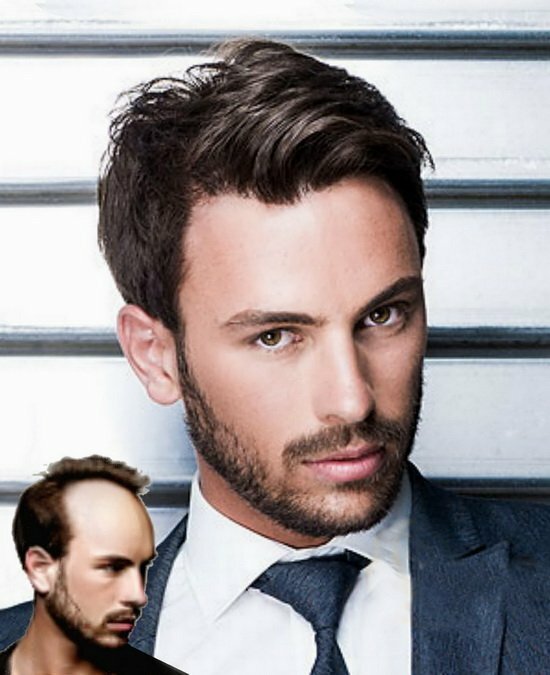 The Hair Clinic has been offering state of the art hair replacement techniques for over 20 years. 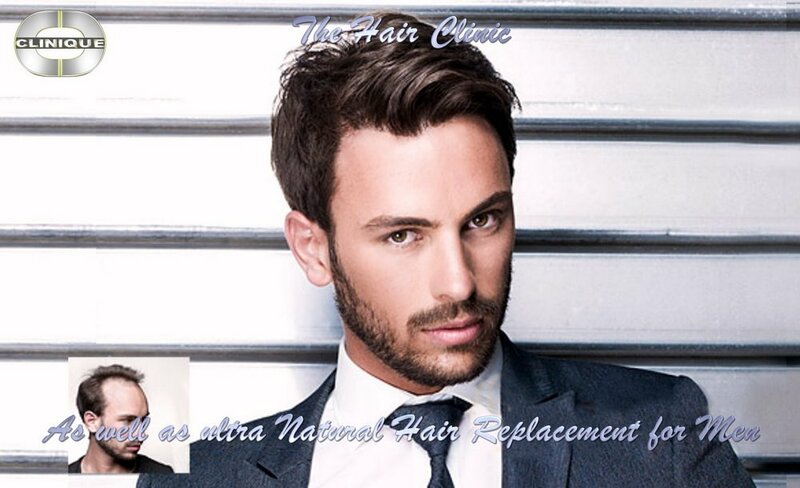 We have extensive experience in making your hair look its best with our wide variety of human hair compliments including our exclusive Non-Surgical Hair Grafts & Non-Surgical Hair Transplants. 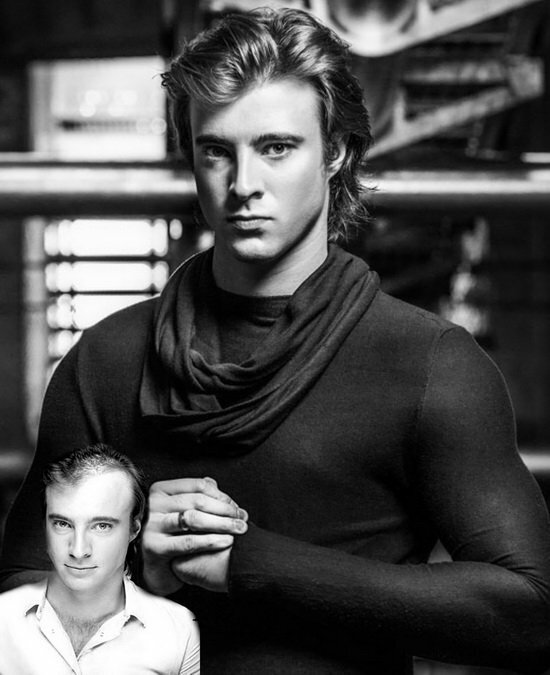 The Hair Clinic’s men’s stock hair pieces and men’s custom made hair pieces are lovingly hand grafted one hair at a time with the finest quality 100% Virgin Human Indo-European Remy Hair. 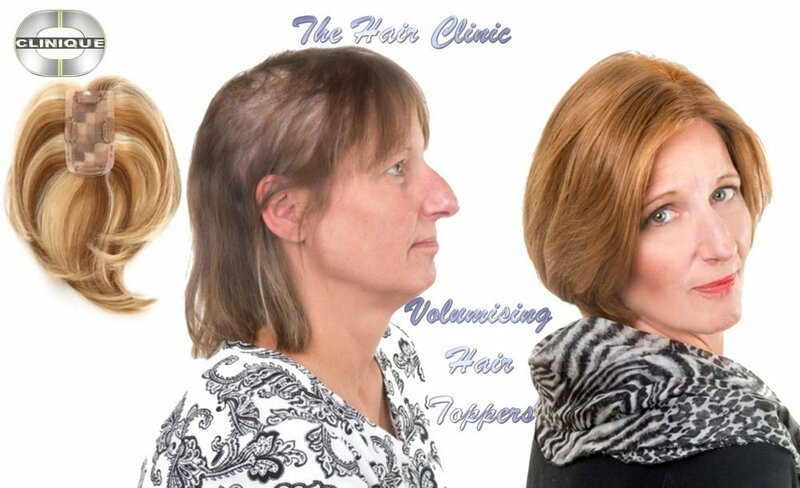 The Hair Replacement Center of The Hair Clinic excels in the confection of custom hand-made hair pieces & hair replacement units. Each of our hairpieces is lovingly hand-grafted one hair at a time for an ultra natural appearance, with hair that looks like it’s growing from your own scalp. 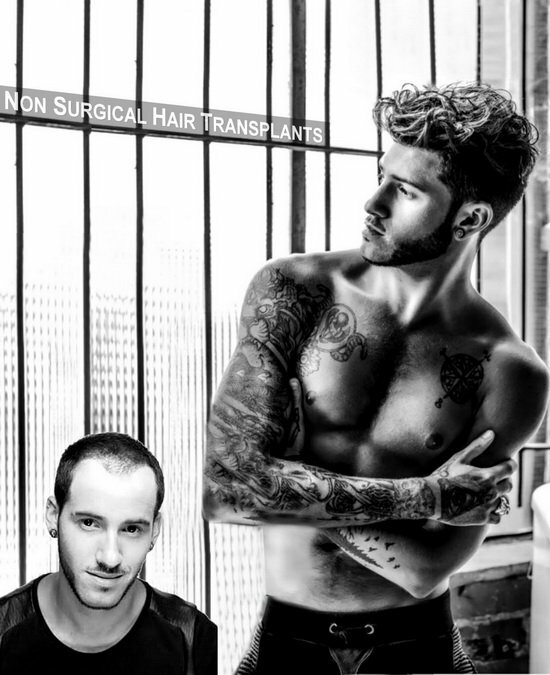 The Hair Clinic’s Hair Replacement Center is the premier center for hair restoration for men in Montreal. 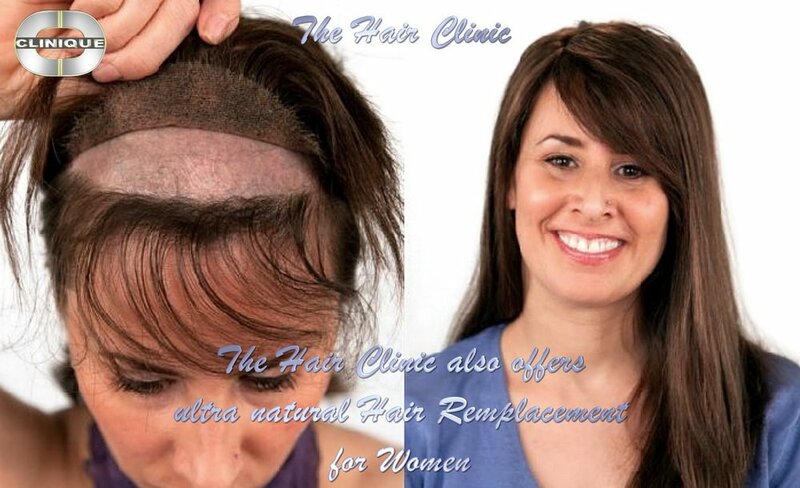 We offer you a wide variety of non-surgical hair replacement methods, including top quality hair pieces made with the finest quality human Indo-European hair. 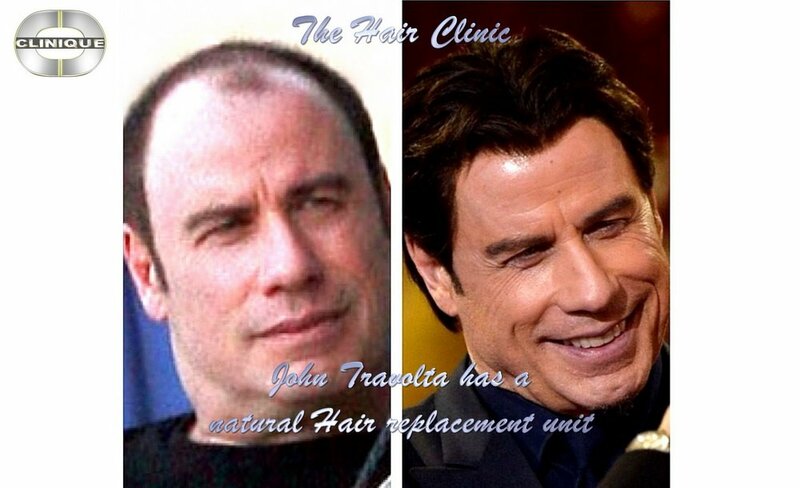 The Hair Clinic offers a wide variety of Hair Replacement Systems, hairpieces, custom hair pieces, men’s wigs, men’s toupees, as well as other men’s hair loss solutions. 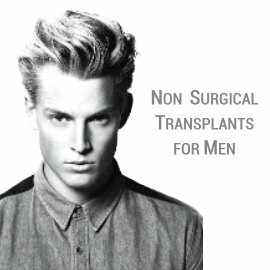 The Hair Clinic’s piece de resistance and our main focus for men losing their hair are The Non-Surgical Graft & The Non-Surgical Transplant. 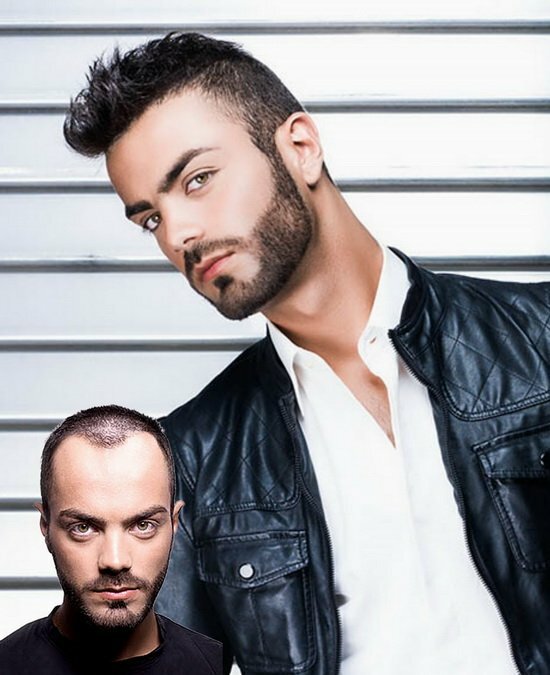 Best of all, and exclusively at The Hair Clinic, our top fashion stylists will lovingly spend up to two hours, cutting & styling your new undetectable hair replacement to reach that absolutely perfect hairstyle best suited for you! 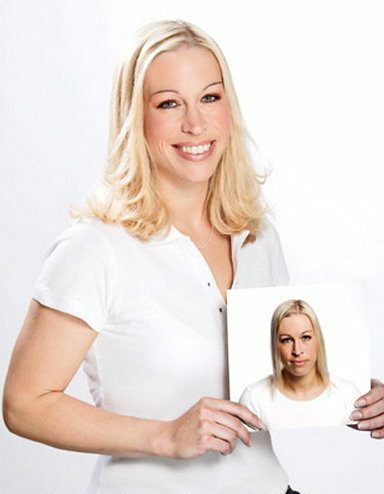 The Hair Clinic Hair Extensions Center carries the finest quality human hair extensions in a multitude of hair systems, hair colours and hair lengths. 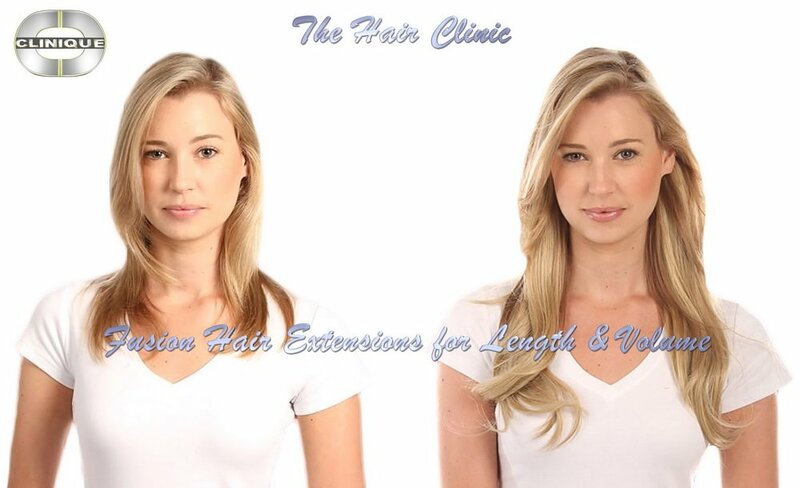 Finding quality hair extensions that match your hair exactly is always fast & easy at The Hair Clinic. 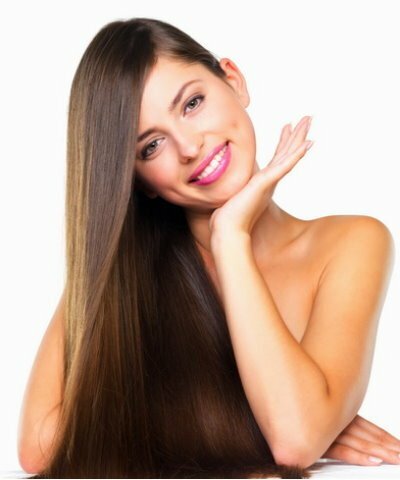 Now that full head of gorgeous hair that you’ve always dreamed of is within your reach with extensions for volume and, or extensions for length! 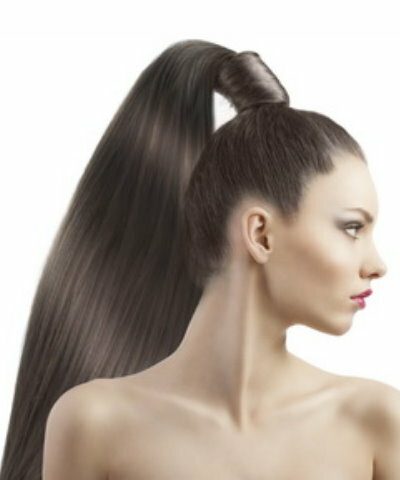 The Hair Extensions Center offers you the best hair extension systems to choose from. Whether you like removable extensions or permanent extensions, The Hair Clinic has all types of hair extensions in stock at all times. The Extension Center’s hair extension systems are available in stock in three lengths, 14-inch long hair extensions, 18-inch hair extensions, and 22-inch long hair extensions. 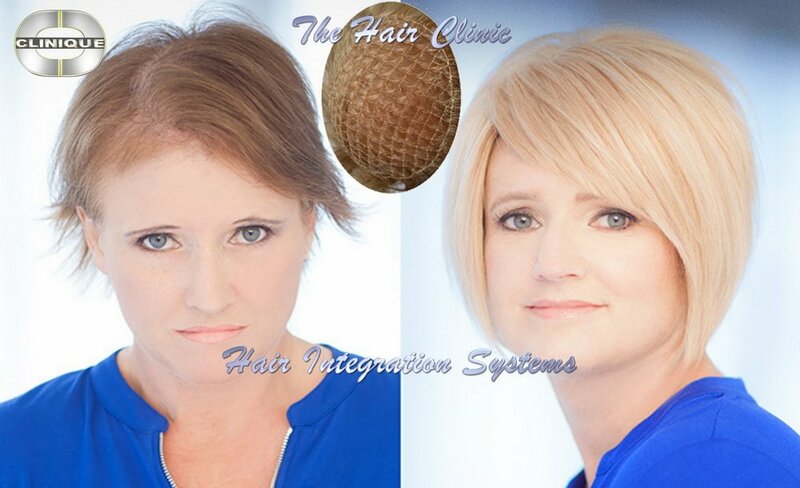 Drop by for a free, no obligation consultation and check out our ultra silky superior hair quality for yourself. 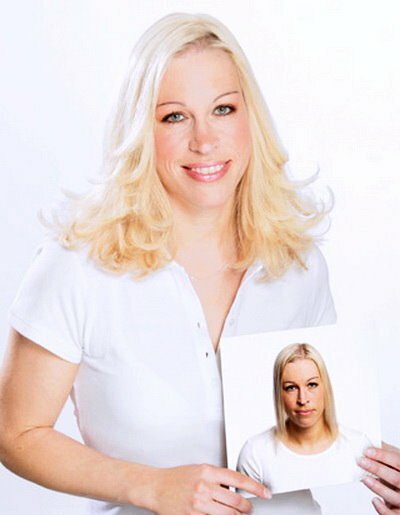 Come on in simply to feel the quality of our hair extensions & the silky difference of our real human hair extensions. 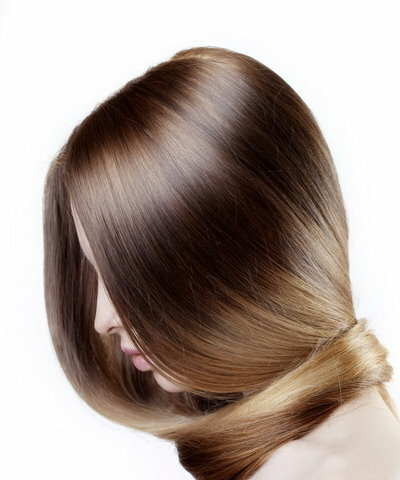 The Hair Clinic stocks all fashion hair extension systems, including keratin hair extensions, clip extensions, cold fusion extensions, hot fusion extensions, keratin extensions, tape in extensions, loop extensions, ponytail extensions, and many more types of hair extensions. 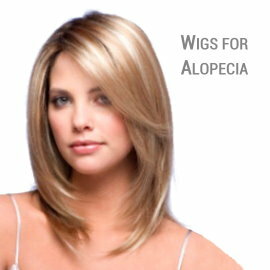 We also carry all the professional accessories for hair extensions. 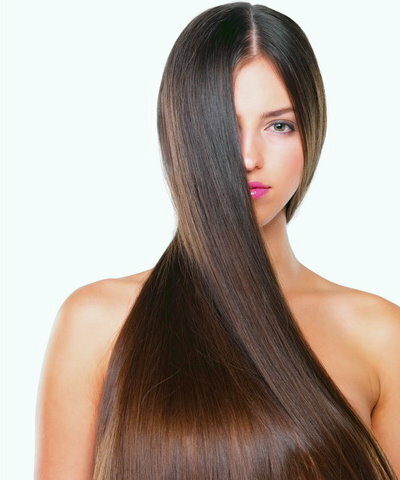 For the best hair extensions in Montreal, look no further! We are The Hair Extension specialists. 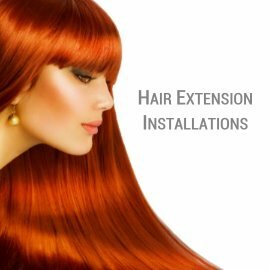 At The Hair Extension Center, we not only sell extensions but we also professionally install many types extensions. 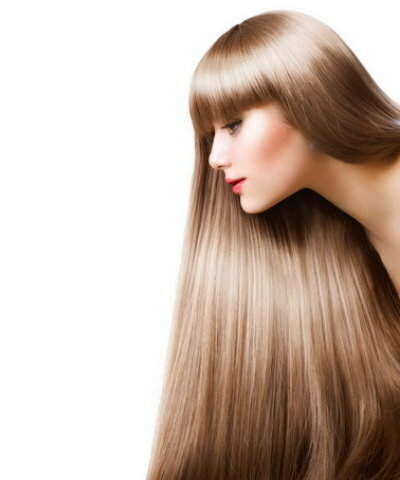 The Hair Clinic has teamed up with the much-renowned hair extension company ER Extensions, to offer you Montreal’s finest hair extensions. 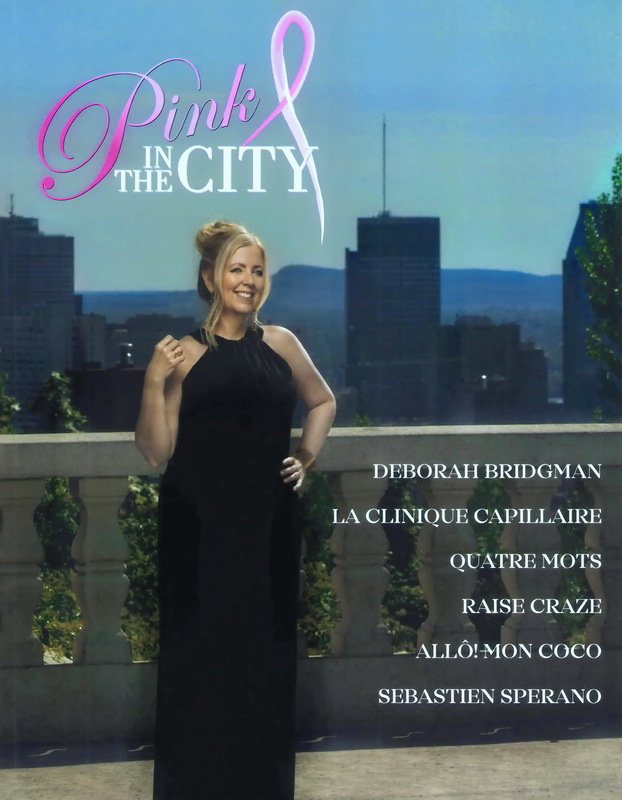 The Hair Clinic Montreal is also well known for its quality extensions by hair stylists, the written media, TV media, many local music & film stars, as well as the movie industry. We recently supplied all wigs & hairpieces for the Hollywood film “White House Down” starring Channing Tatum. 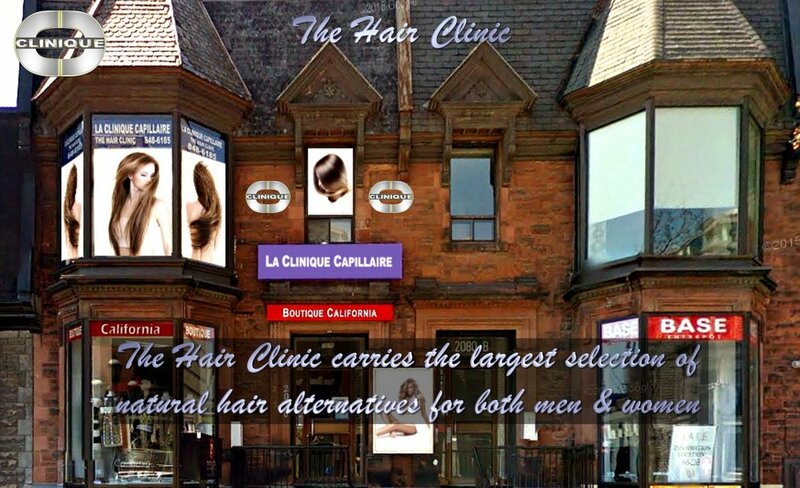 Whether you’re looking for a quality wig, a quality hairpiece for women, hairpieces for men, or the best hair extensions, you’ll find all you human hair supplies at The Hair Clinic in downtown Montreal. 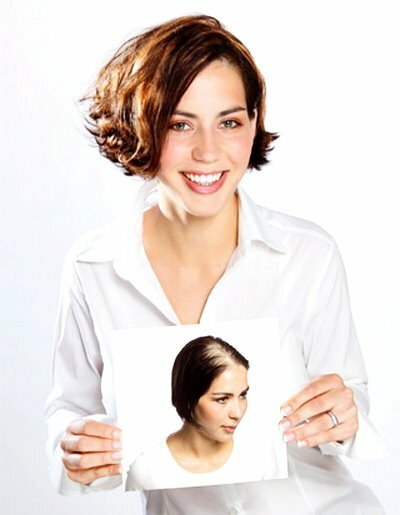 At The Hair Clinic, we go to great lengths to make your hair dreams come true!